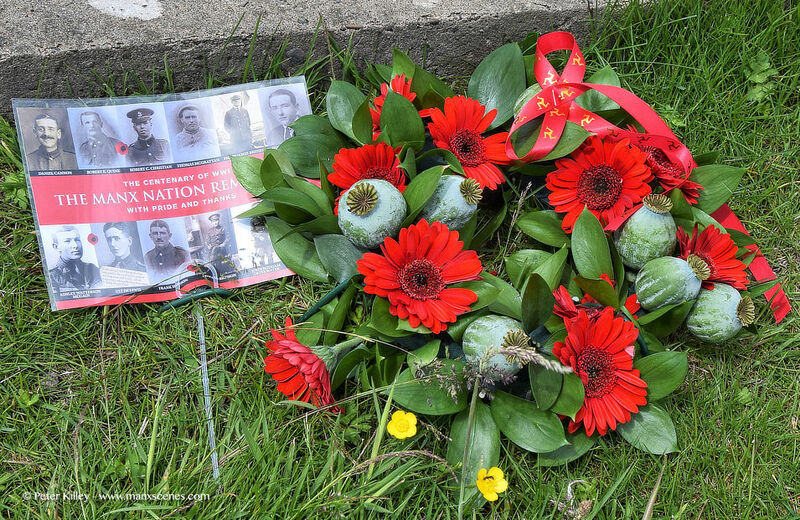 A Manx Poppy wreath at Jurby Church War Memorial this morning. Approximately 1,000 Manxmen were at the Battle of the Somme. Sadly at least 120 were killed and 100’s more were wounded or captured. This memorial next to the old Police Station in Parliament Street in Ramsey is quite a feat of craftsmanship. 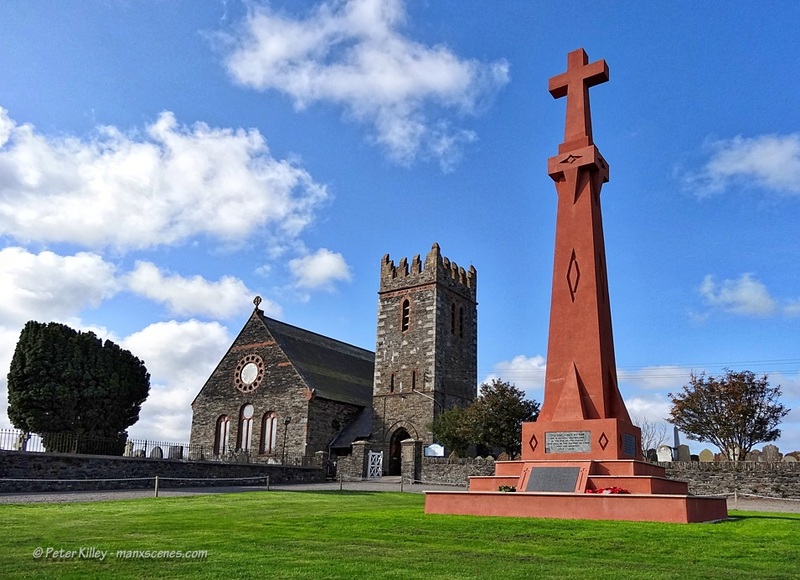 The intricate celtic design, carved out of red sandstone, stands to commemorate 108 islanders who fell in the First World War and 49 from the Second World War. 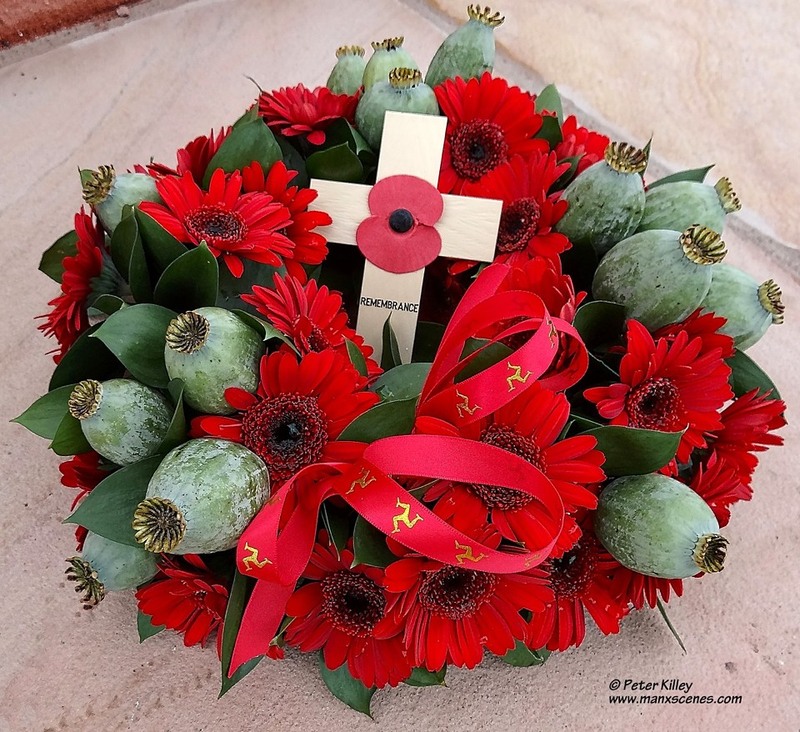 Despite the dedication, this elaborate cross had not always been intended as a war memorial. 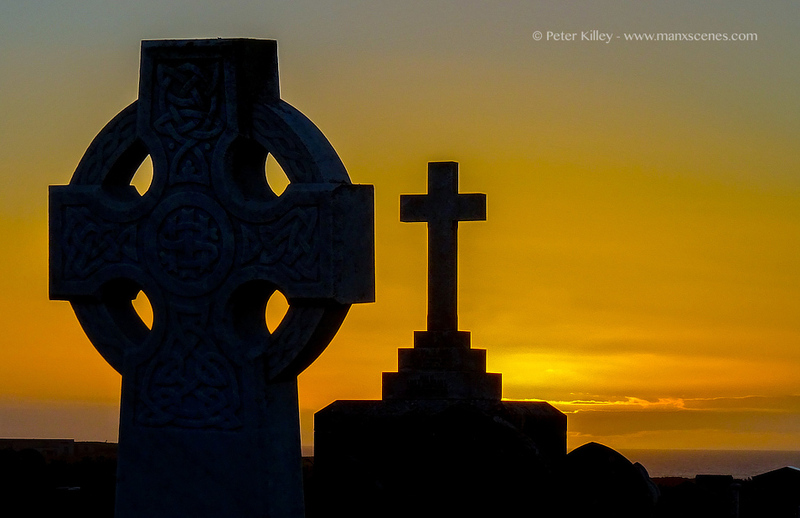 When Parson William Kermode died in 1890 his son Philip designed the cross as a memorial to him, to be erected at Kirk Maughold near Ramsey. Mr T. H. Royston was engaged to carry out the carving. It is uncertain when Mr Royston started the project, although it would most likely have been within the 1890s, yet it was still unfinished in 1914, some 24 years after Parson Kermode’s death. 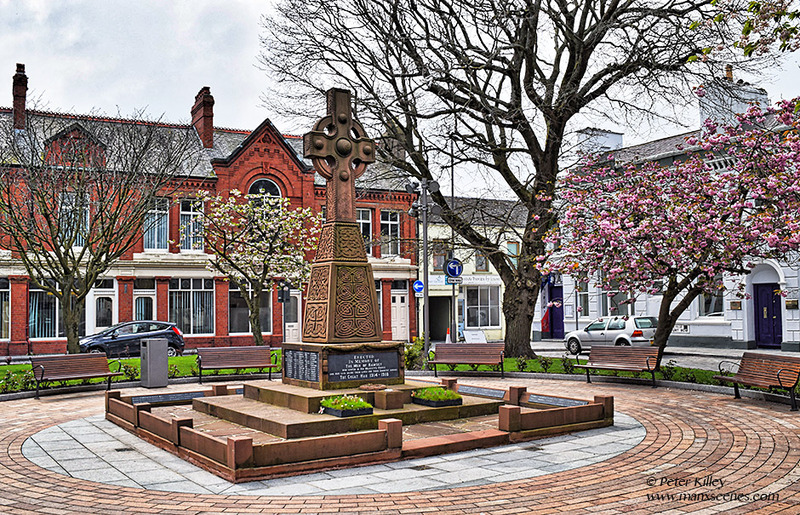 When, in 1919, the people of Ramsey decided to erect a war memorial, an arrangement was made to take over the Kermode cross and erect it in Parliament Street.